Yponomeuta spp. Small, length 10mm, moths that are very difficult to ID to species. Caterpillars live in nests. These 2 adults cane to deck light at end of July. These moths are common in UK HERE and NA. 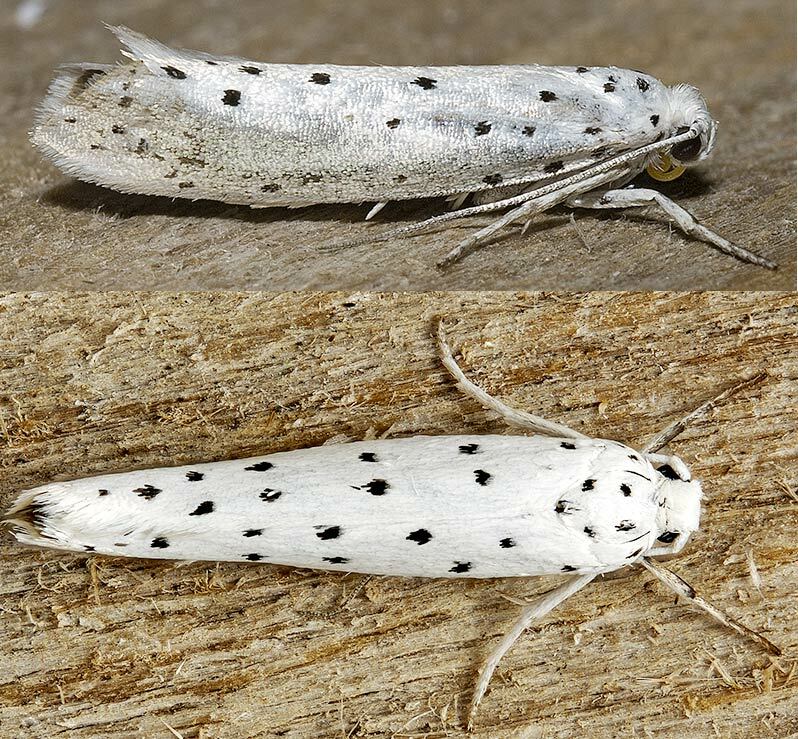 The 2 anterior black dots on the dorsal shot are the moth's eyes, the bend in the base of the antennae makes me think that evolution has modeled this moth such that these black eyes are visible dorsally. Don't know if these were named as they resemble the pelage of the Ermine mammal, or vice-versa.